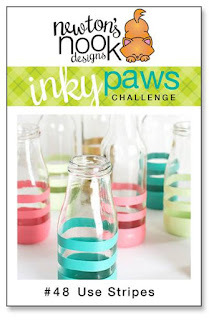 Inky Paws Challenge #48 Winners! Preeti D made a fun and unique card using Distress Oxide inks over an embossed image from Newton Loves Cake. 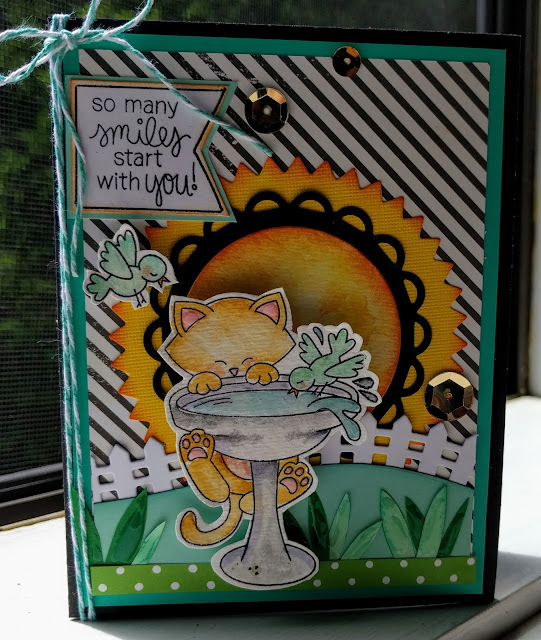 Sharon created this really fun scene using Newton's Birdbath. 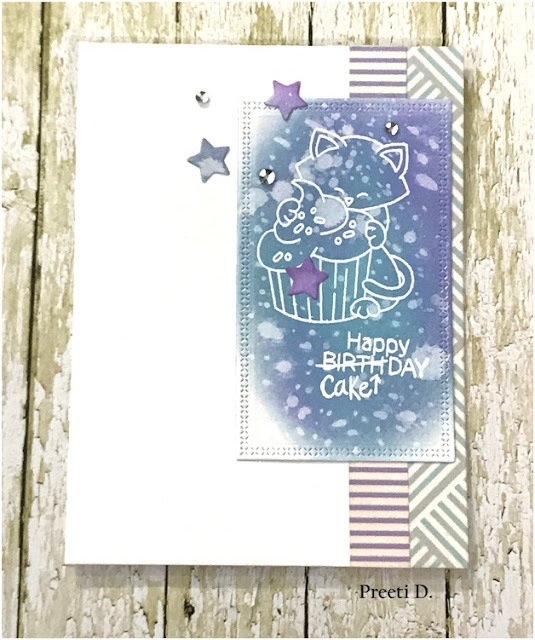 Andrea Shell makes gorgeous cards for the challenges often and I really loved how the blue stripes complimented the flowers from Lovely Blooms. Kleri created this card using Newton's Birthday Bash. 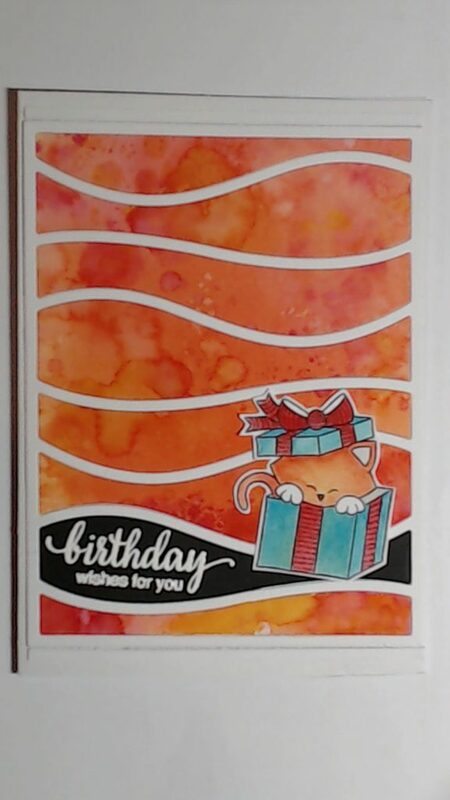 I love the unique take on stripes by using this wonky diecut background. Thanks again to everyone who entered - It's really so much fun to look through all the entries and see everyone's ideas! If you didn't win this time we hope you'll play along again next time! Our next challenge starts today June 18! Wowie!! Thank you so much for featuring my card :) loved all the beautiful entries. Congrats to all the winners and top picks. Really great cards! !